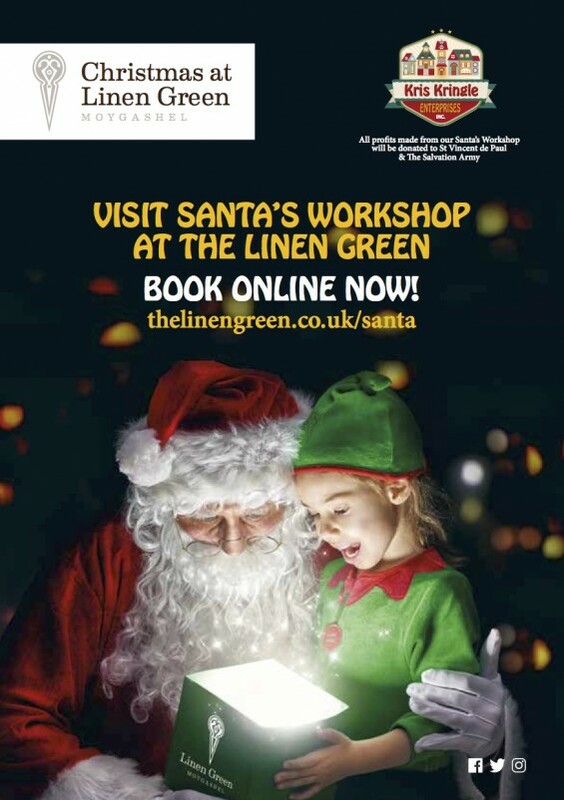 Meet Santa at the Linen Green. The Christmas countdown has well and truly begun in our household. Let’s be honest, I have been Santa’s little sewing elf for the last few months and now it is time for Leila and Luke to get my undivided attention. 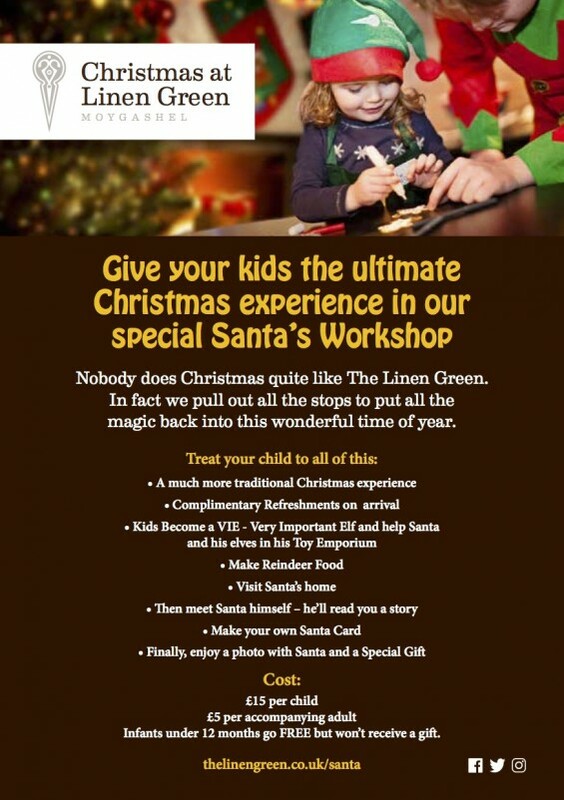 The Christmas experience at Linen Green, Moygashel must not be missed. We have booked our time with Santa and I think i’m more excited. 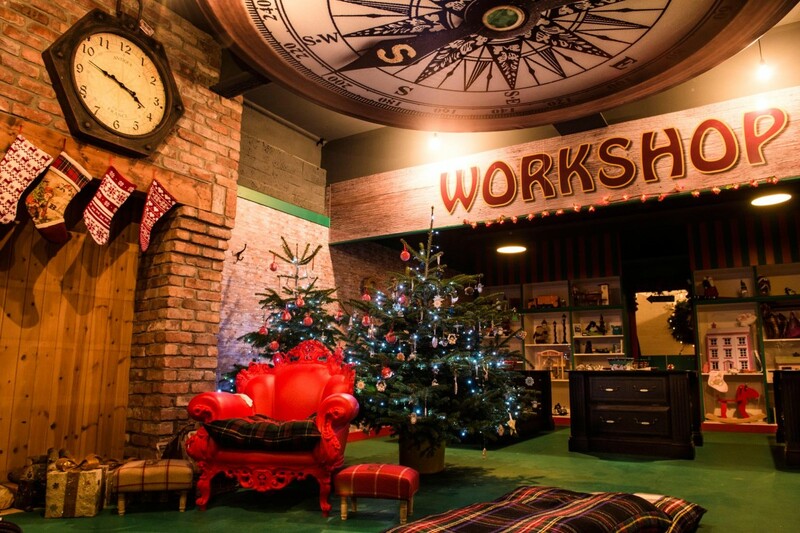 This is an experience with a difference, in that each slot lasts for 45 minutes, and is limited to 14 children (and their accompanying adults) – there is an audience with the man himself in Santa’s Workshop, the chance for children to become VIE’s (Very Important Elves!) 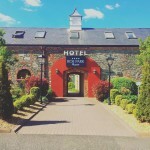 as they help with Christmas crafts, a gift for every child, and a photograph, plus refreshments for adults (tea/coffee and shortbread)and children (water juice drink and mini Mr T crisps) on arrival. 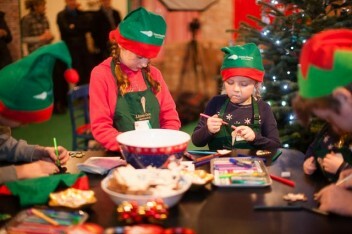 On arrival to Santa’s HQ they can take Elfies at the Elfie board, enjoy their refreshments before they are taken over to Santa’s workshop and are told a story by Santa, get to make a Christmas card with lots of fun crafts and some reindeer food. 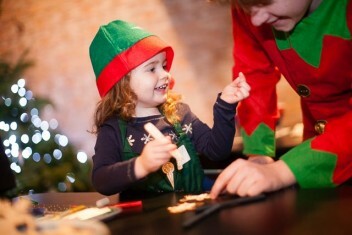 There are Christmas songs and lots of Festive cheer as the Very important Elf’s help Santa get ready for Christmas. 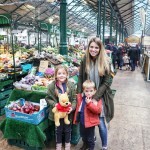 They get a photo with Santa to take home aswell as a goody bag and… if they are really lucky they will get a nice list certificate at the end before singing jingle bells and waving goodbye to Santa. In addition, all profits are going to two really worthwhile local charities – the Salvation Army and St Vincent de Paul. 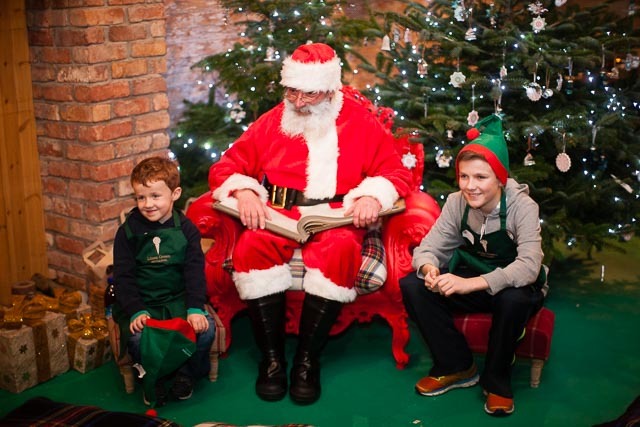 You can Book here to visit Santa for available slots from 1st – 23rd December.